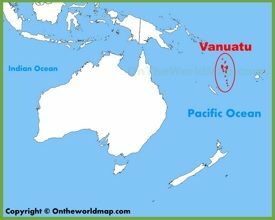 Vanuatu is officially named the Republic of Vanuatu. 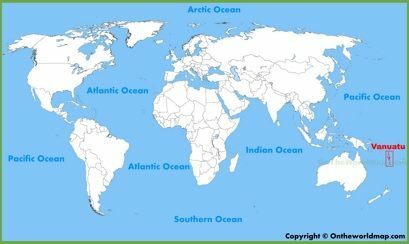 It is an archipelago that consists of 82 islands and located in the South Pacific Ocean. 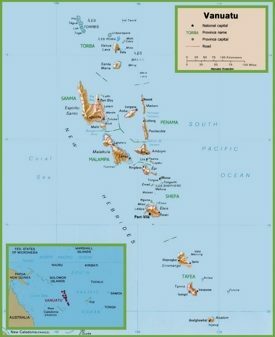 The archipelago is separated by some kilometers from New Caledonia in the northeast, the Solomon Islands in the southeast, northern Australia in the east, Fiji in the west and New Guinea in the east. 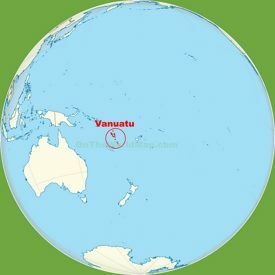 Vanuatu used to be controlled by Great Britain and France although it was first inhabited by Melanesian people. The capital city is Port Vila. 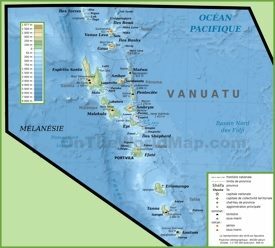 The official languages are English, French and Bislama. Area: 4,710 sq mi (12,190 sq km). 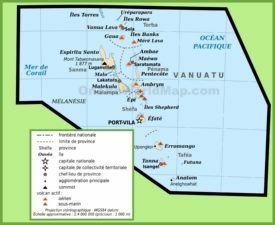 Official language: Bislama, French, English.